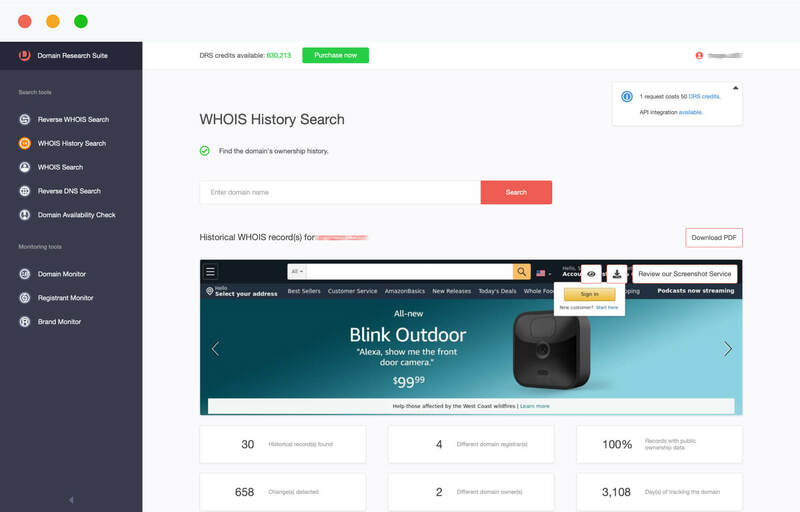 This API will allow you to view relevant historical WHOIS records – and find out how a domain's ownership was changing. For the past 10+ years, we have been tracking WHOIS histories of hundreds of millions domains. These changes are parsed, processed and safely stored in our database – so as to be accessible by our WHOIS History API. You can also get a comprehensive ownership history of a given domain name by using our new Domain Research Suite Dashboard. Use WHOIS History API to look up identifying information before privacy records. Investigate the last public record to uncover how a domain's ownership was changing. Find out who is committing online fraud or attacking the network. Use WHOIS History API to help identify an attacker.